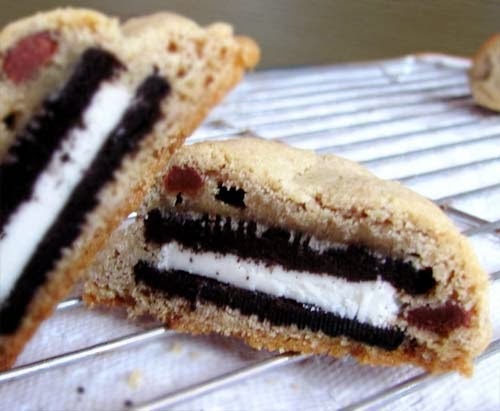 A cookie in a cookie. A feast for the eyes and sweet treats for the palate. 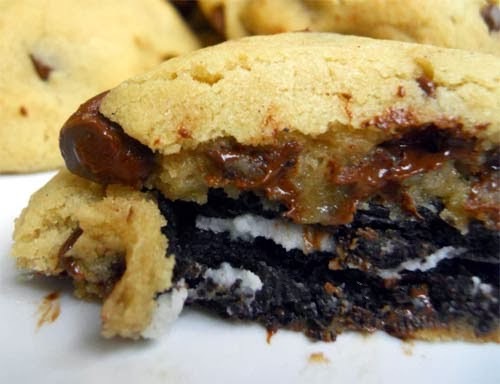 An Oreo cookie stuffed inside a chocolate chip cookie. Very yummy and delicious. This recipe is directly from Picky-Palate.com. Bless her. Another good one to try is Banana Chocolate Chip Cookies.